I’m watching Dirk Gently’s Holistic Detective Agency and it’s coming to NYCC! 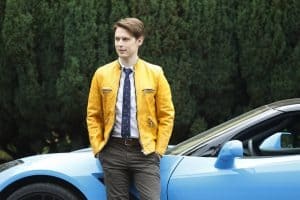 When I realized I was going to write this article and would have to explain Dirk Gently’s Holistic Detective Agency, I knew that I had a near-impossible task. 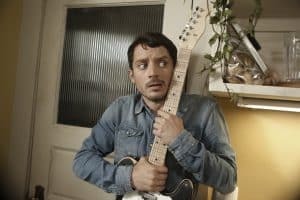 Dirk Gently’s Holistic Detective Agency is based off of the book written by Douglas Adams. I read the book in my early twenties (so just yesterday) and I loved it. Douglas Adams has an amazing imagination and brings some of the most amazing characters to life. When I heard that the BBC was bringing the series to life, I immediately feared that this was not going to turn out well. I wasn’t a fan of the 2010 TV series, Dirk Gently. How was this going to be any different? As with many books, adaptation to the screen does not always go well. What I didn’t know at that time was that the BBC had creator Max Landis. Max Landis has brought to the screen a brilliant version of Dirk Gently’s Holistic Detective Agency. 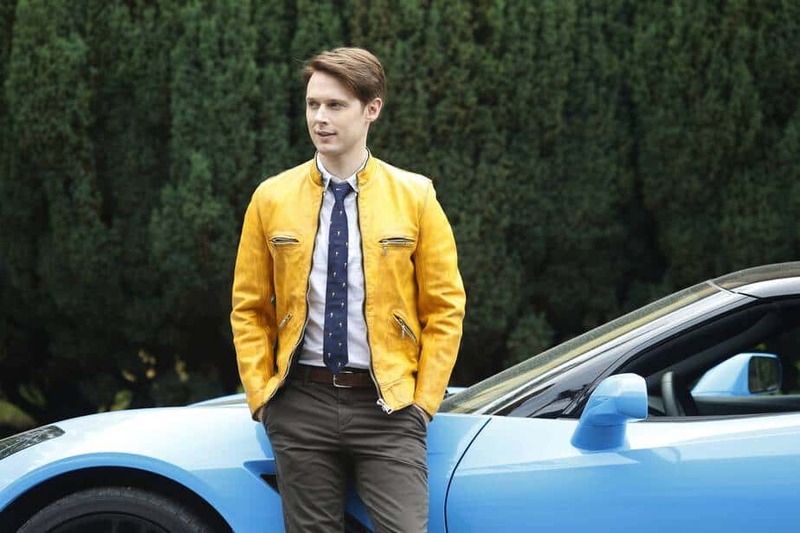 Dirk Gently (Samuel Barnett) is a holistic detective, so what does this mean? It means that he has psychic abilities that make him capable of sensing tangential connections. These abilities and the way he was raised have made him into a character that is quirky, rude, and presumptuous. However at the same time, he manages to be funny and eloquent. He is the core character that brings the other characters together. If you haven’t watched the first season, I recommend that you do. However this isn’t one of those shows that will immediately tell you the plot, it builds as the season goes on. I spent most of season one asking myself what was going on. Max Landis’ brain works in a wonderful and mysterious way. While you may not understand what is going on until the end of the season, it brings you to attention. You will find that you have a need to try and figure it out. The cases that come to Dirk Gently unfold in a direction you won’t be expecting. Along the way, you will meet many interesting characters. Dirk Gently’s best friend, Todd Brotzman (Elijah Wood), is a bit washed up in season one. He has made a mess of things and finds himself trapped in a life he hates. Todd doesn’t warm up to Dirk very fast and the exchanges between the two characters are delightfully funny. Todd’s sister Amanda Brotzman (Hannah Marks) suffers from a (fictional) disease called pararibulitis which causes her to have attacks where she feels like she is really dying. It can be burning, drowning, and anything else horrible you can think of. This leads her to a set of psychic vampires that are able to feed off of her energy. It is a mutual benefit for all of them. They feed off of her attacks and she gets relief. They are a rowdy bunch though. Bart (Fiona Dourif) is one of my favorite characters. She is a homicidal, deranged, and fearless assassin. In season one she is after Dirk Gently and leaves a bloody trail behind her. She has an urge to kill those who kill or endanger others. It looks like in season two we will get to see her try and connect with her human emotions, maybe something to do with her traveling buddy Ken from the first season. This is just a small sample of the creative characters introduced in season one. So what do they all have in common? They all seem to be connected to the interconnectedness of all things. We learn in season one that Blackwing, a secret agency, knows of these connections and has been holding individuals captive and experimenting on them. BBC America will be bringing Dirk Gently’s Holistic Detective Agency to New York Comic Con (NYCC) on Friday, October 6th at 12:45pm on the Main Stage of the Javits Center. They will be giving fans a sneak peek at the first 20 minutes of the upcoming season premiere set to air on October 14th, along with a Q& A to follow. Not caught up on season one? Don’t worry the entire season is available to stream on Hulu. Do you enjoy Dirk Gently’s Holistic Detective Agency? Click here and tell us about it on the FoCC forum!